We are a spiritual community supporting each other in exploring our personal journeys, regardless of beliefs or spiritual paths. We welcome you. We invite you to attend our weekly community-led Sunday Services from 11:00 a.m. to Noon and join us for refreshments after the service. Everyone is also welcome to drop in for Inspirational Explorations from 7:15 p.m to 8:30ish on Wednesdays. Our address is 111 Superior Street, Victoria, BC. Phone number is (250) 999-1064. If you are interested in renting our beautiful sacred space at the Church of Truth, please contact Esther Hart at 250-896-5933 or: cotrentals@gmail.com. This year, Earth Day and Easter Monday are on the same day. This convergence from different traditions prompts deep reflection. What would we like to see born in the dimension of spirit, in the dimension of feeling, in the dimension of earth on this day, in this month, at this time? On the spirit level, we live in a world where religious dogma and an empty materialism prevail. On the feeling and earth levels, we live in a world where most feel disconnected from community, and from all the beings who make up the rest of the earth. Yet many too are rising up, often taking their lead from indigenous worldviews, and discovering a spirituality of connection with the inner divine, with each other and with the earth. Many are on a journey to compassion, moving beyond whatever filters have prevented them from perceiving others in their actuality, moving towards collective healing. It doesn’t matter which face of resurrection we are inspired by first; it simply matters that we are part of the movement towards the new. 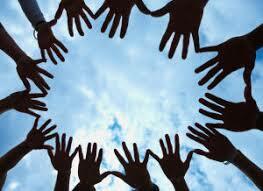 April 28th Community Service – Collective movement towards positive habits and openess. Everyone Welcome to Drop-In! Free or By Donation. INSPIRATIONAL EXPLORATIONS is the series of Wednesday evenings devoted to exploring a wide range of aspects of spirituality, presented by as wide a range of people as possible. April 3: “Experiencing a Shamanic Journey,” facilitated by Kirsty Inglis. April 17 – Trees Can Do That? April 24 Kathleen Heilman leads a meditation session. “FRESH FRUIT FOR FRIENDS” will happen on the first Sunday of each month. We invite you to bring some fruit to Sunday Service – All types of fruit an/or cash are welcome with gratitude (Hand-held fruit i.e. bananas are really appreciated) which will be given to “Our Place Society” for the homeless on Monday morning.